Auditory Sculpture - "That Might Be You But This Is Me"
It seems like an endless stream of adventurous music comes into the AI offices from Portland, Oregon. Auditory Sculpture is yet another band that comes from our man in Portland, the Action Man. Auditory Sculpture is the moniker used by Keith Schreiner, who first came to our attention in the Action Man's account of a Dahlia show last issue (see link below). 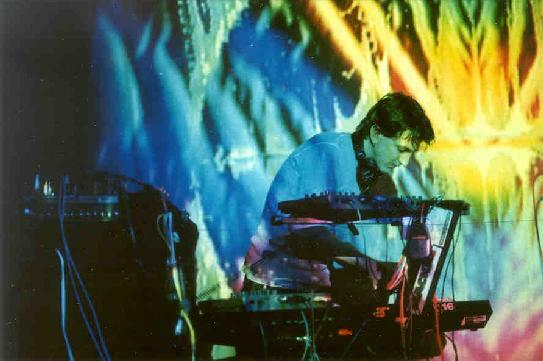 Schreiner's music consists of ambient electronic music that often incorporates drum 'n bass elements and similar dance influences. The music is simplistic, but dreamy and spiritual, sometimes bordering on New Age, though thankfully Schreiner's music includes enough subtle twists and turns to keep the music interesting rather than being fluffy. I don't see guitars credited but I hear slightly fuzzed whining licks on "What Did I Do" that sound like a guitar. "An Uncomfortable Dream" is one of my favorite tracks. A floating ambient pattern is augmented by additional layers of sound and texture. Freaky dancey patterns, a bit of drum 'n bass, and more overtly spacey tones color the music as it evolves. I especially like the quirky electro rhythms that are juxtaposed against the flowing ambient parts. 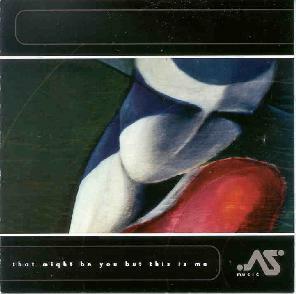 The same contrast is heard again on another standout track, "There's Something In The Attik". "Telling Stories" is a little different, being a subtle mix of ambient space and dance patterns that provide the backdrop for Middle Eastern influenced chanting. Kind of like Anubian Lights only more on the purely ambient side. "Wipe You Right Out" surprised me with what sounds like a spacey, somewhat Dub influenced rendition of the X-Files theme. "Winter In July" displays Schreiner's classical orchestral influences. And "Variations On A Theme" is a simple, slowly developing keyboard melody that duets with trumpet. I loved the sound of the trumpet but over its 10 minute length the music didn't vary enough on it's theme for my taste. In summary, Auditory Sculpture will appeal to fans of ambient electronica that like healthy does of melody amidst the gradual development of the music. I'll get to hear more from Schreiner soon as Dahlia will soon be releasing a new CD. CLICK HERE to read the Action Man account of a recent Dahlia show.